Paris is truly a magical city, and considered to be one of the top destinations to visit in the world. 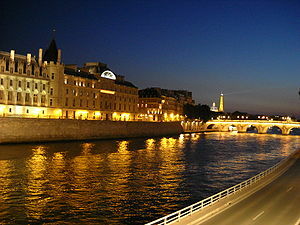 Once you have travelled to this beautiful city, you will soon understand how people fall in love with Paris so easily. Travellers have been journeying to Paris for centuries, and it attracts a vast array of different cultures, ages and religions. There numerous exciting places to explore whilst in the city, and you will never tire of seeing the magnificent architecture, beautiful scenery and natural sights. Regardless of why you have chosen Paris, you will feel a sense of romance as you stroll through the quaint back streets. Love is considered to thrive throughout the city, and people fall in love with each other as well as Paris itself. The city is a hive of activity; however, the people remain calm and laid back, which is fantastic for enjoying the culture. There are plenty of small coffee shops to sit and update your travel blog, as you enjoy the delicious patisseries and unique French coffee on offer. People watching is a favourite past time, and the people who live in the city are fascinating. The buildings and monuments throughout Paris are incredible, and there are so many for you to explore and enjoy. The Eifel toweris of course the largest and most impressive of all the landmarks in Paris. You can enjoy the most spectacular sights from the top level of the tower, with a 360 degree view of the stunning architecture. The Arc de Triomphe is another incredible landmark, where you can again view the majority of the city. You may need to catch your breath after climbing the stairs; though the view is worth every step. Another, beautiful area of the city is the Rive Gauche district, which has remained untouched, and many artists travel to this area for inspiration. The Musee D’Orsay is a beautiful building, which overlooks the River Seine, and houses some incredible pieces of art. Impressionist artists such as Van Gogh, Renoir, and Monet have pieces of art in this building. Once you have admired this stunning collection of art, you can easily join one of the river cruises. The River Seine is mystical and offers an incredible views of the Eifel Tower and Notre Dame, there are both day and night cruises which are brilliant. The night cruise is perfect for a romantic evening meal, and an idyllic end to a fantastic day in Paris. Once you have tired of the landmarks and stunning buildings, you can enjoy the natural beauty in the parks. Many people do not realize that there are several open spaces in Paris, which are the ideal place to stroll and have a picnic. The parks are incredibly popular with the workers in the city, and during the lunch period, they can become busy with people escaping the offices and boutiques. If you want to explore a structured park and garden, the formal Tuileries Gardens are ideal. Set in the heart of Paris these gardens are stunning, highly maintained to ensure that they remain immaculate. The defined beds for the flowers, lush green lawns and elegant statues are typical Parisian. Shopping is another reason to visit Paris, and you will find a huge array of different shops, stores and boutiques on offer. Thanks for this great article, Steve – great read! Awesome article, it briefly covered whole Paris in detail.The whole article can be considered as a perfect guide actually. I enjoyed the entire visit of this article and Paris both.